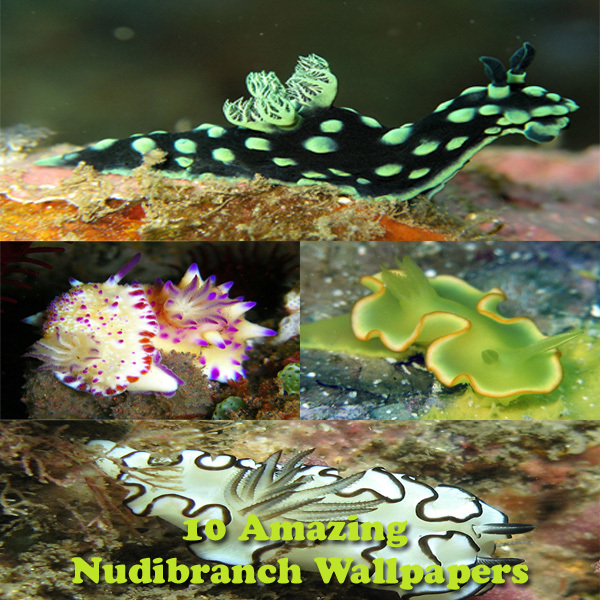 Here are 10 stunning nudibranch wallpapers for you. 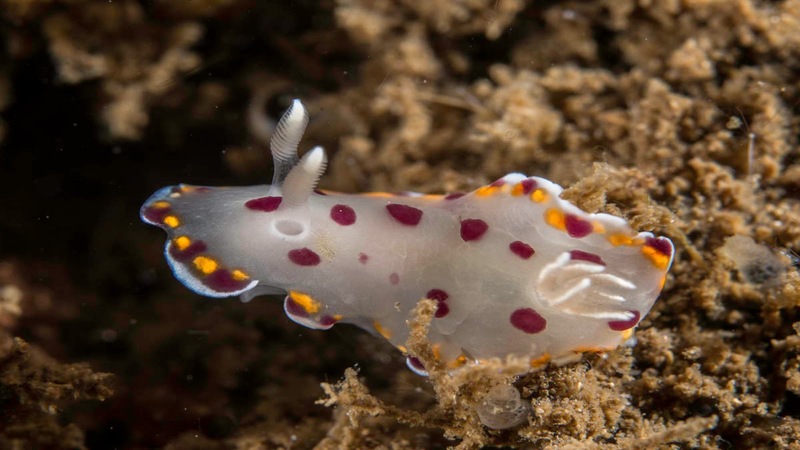 These photos will show the beauty of these sea creatures. You can use these as your desktop background. These wallpapers are also fit to use in your smartphone and tablets. Nudibranches are colorful sea slugs. 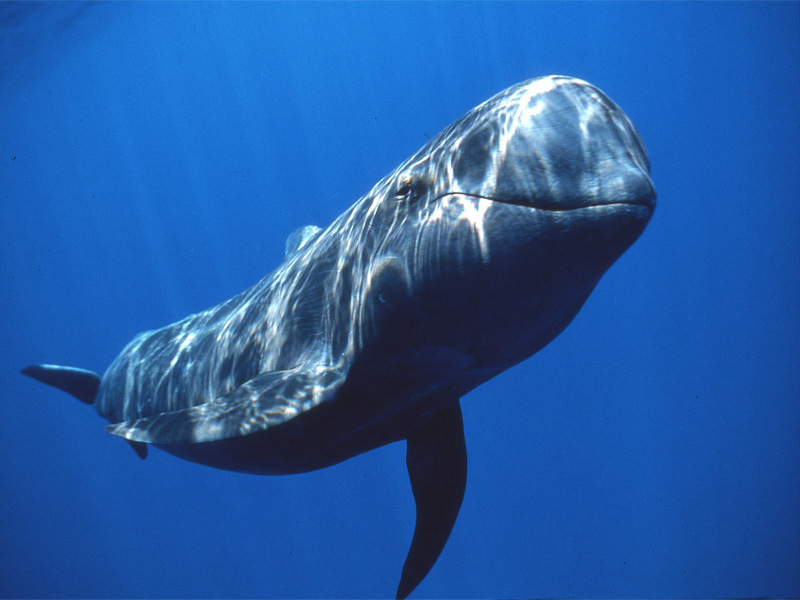 These animals are one of the most cutest creatures in the ocean. They are mostly bottom crawlers. 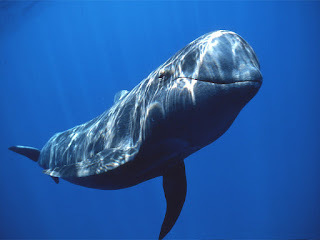 There are many species of in the seas, the number is no less than 2300. These animals can be found in every types of oceanic zones. They are present in warm tropical oceans as well as frozen cold Antarctic and Arctic oceans. they can also found in various depths of the seas. 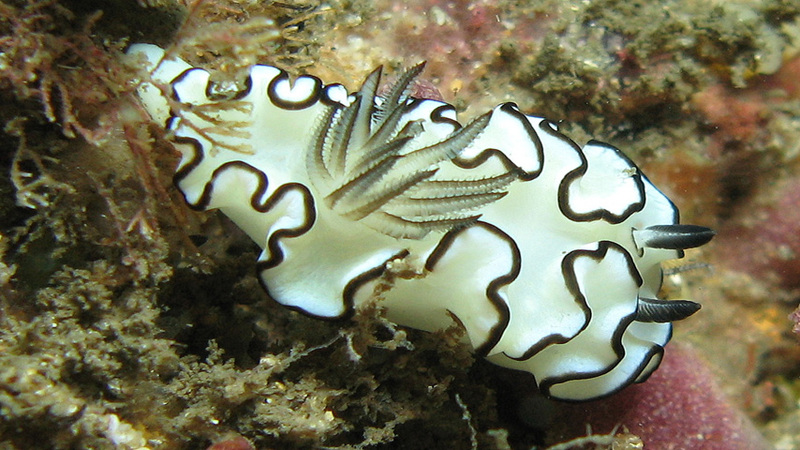 The size of a nudibranch varies with the species. The smallest can be 4mm while the larger ones can grow up to 600 mm. Some species carry small shells in larva stages of their life. But all the full grown nudibranches are shellless. 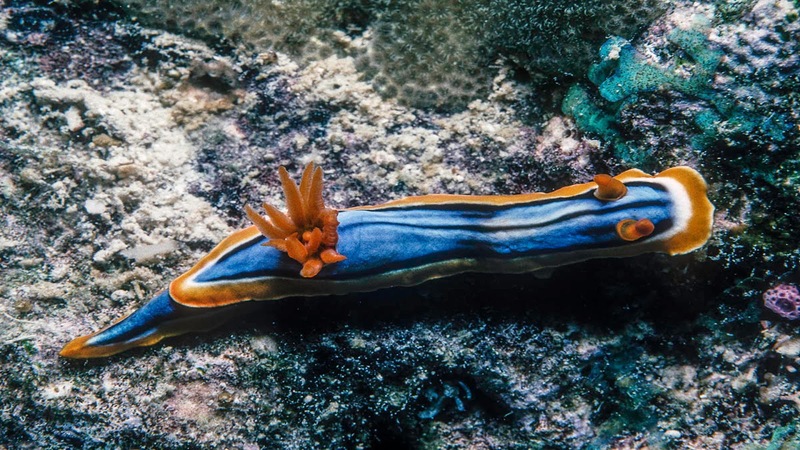 Chromodoris is a genus of colorful nudibranches. Most of the species of the genus has long black or white line on the top of their body. But Chromodoris bimaensis has no such lines. They have small red round spots on their white body. It makes it look like a snow leopard. C. hamiltoni can be found in the Atlantic coastal waters of Africa. The most dominant color of it is blue. The intensity of the blue color can be varied in different specimens. There are also three black or dark blue longitudinal lines along the body. C. joshi has three black stripes on its back. They have a bright yellow body with orange "tails" and "horns". It looks like some alien goat. F.picta is a colorful member of the group or genus Felimare. It can grow as big as 8 inches. It is a sponge eater and lives in shallow waters (depth 0-60 m). 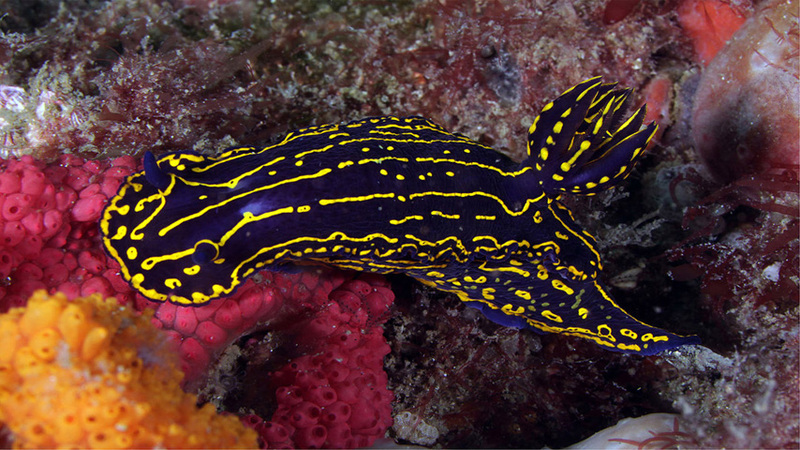 the color of the creature is violate with broken yellow stripes and dots. Popular name of G. atlanticus is "blue dragon". 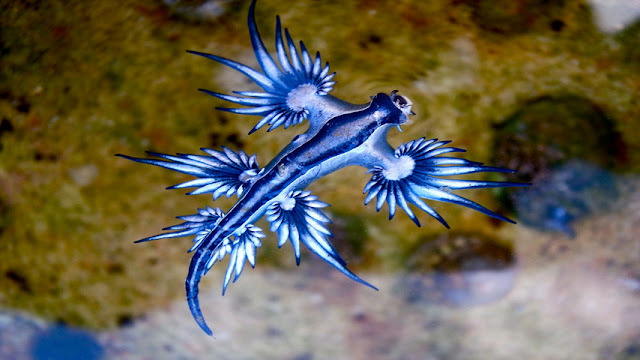 Some people also call it "sea swallow" or "blue angel". That weird looking creature is pelagic i.e. they float in the water. They are also venomous with painful stings. Share this page on Google Plus or Facebook. 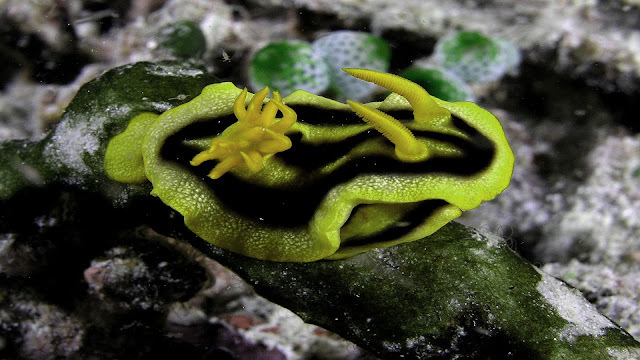 G. atromarginata is one good looking nudibranch. They are sponge eaters. 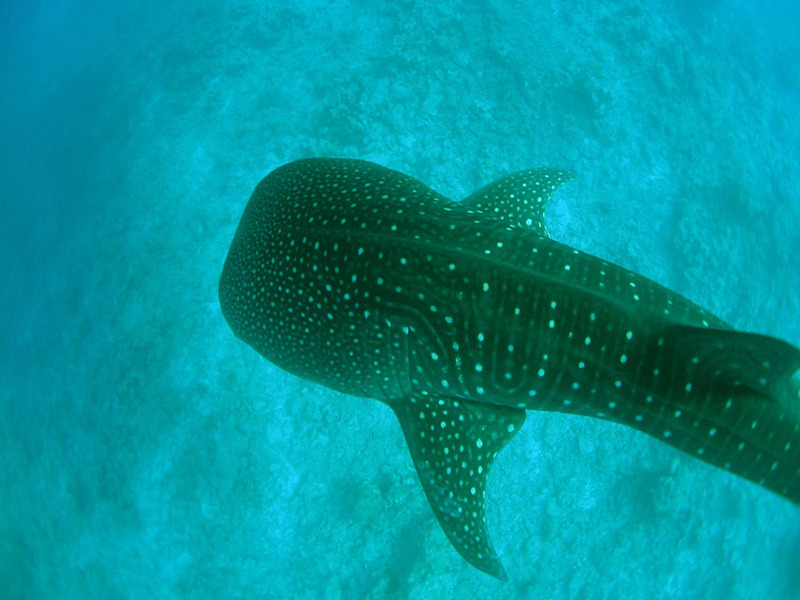 They can be found in the Indo-Pacific Oceans. They can reach 60 mm in length. M. multituberculata is most commonly seen in Japan and China. Some can also be found near the coasts of Indonesia, Malaysia, Philippines and Thailand. 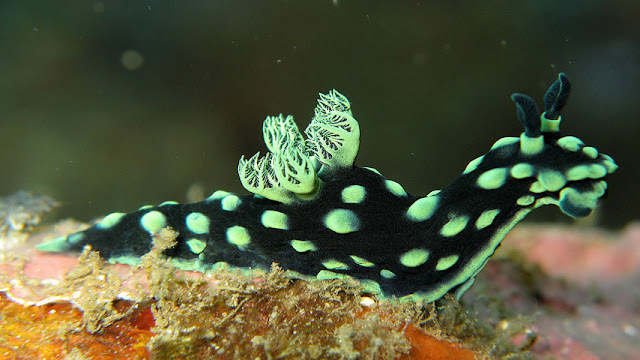 Look at this nudibranch wallpaper, the animal looked some ancient dragon! N. cristata has a black body with numerous green spots. They lives in the coral reefs of Indo-Pacific region. Sometimes I wonder about the variety of shapes and colors of the nudibranches. Look at this Nembrotha chamberlaini, it just looked like some exotic song bird with red crest, is not it? With a maximum mantle length of 100mm they can be considered as giant among the nudibranches. This creature is yellow or greenish yellow in color. There antenna is like that of a moth. 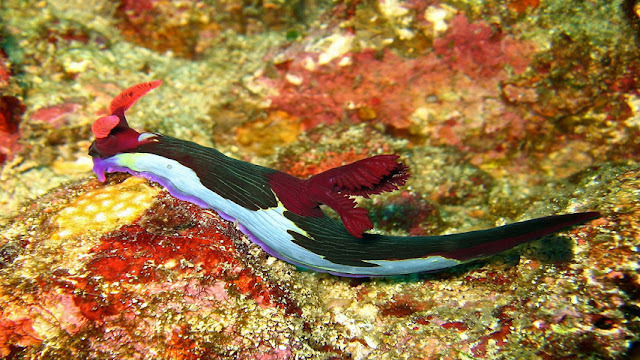 They are most common in the tropical west Pacific. Do you like these wallpapers? 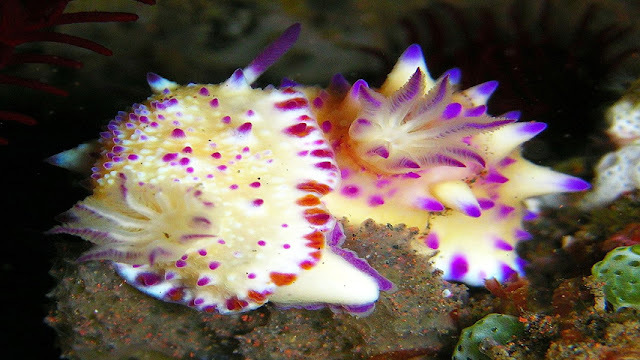 You should if you like nudibranches. 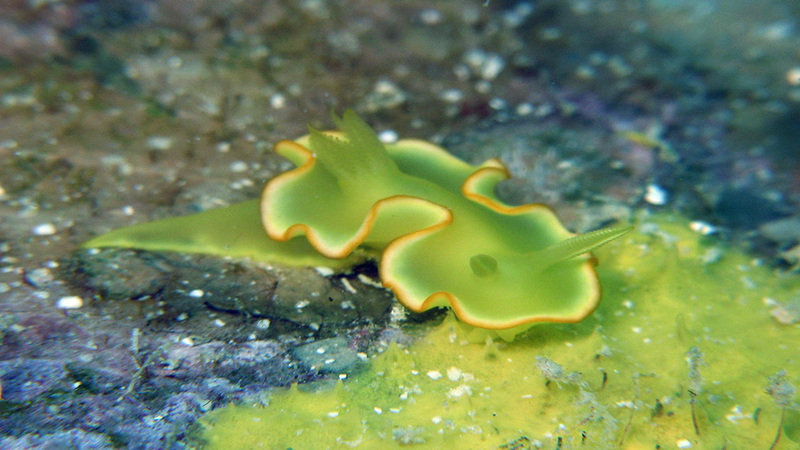 As for me, I am a fan of these shell less sea slugs. Feel free to give your opinions in the comment box, thank you.